Different people celebrate Valentine’s Day in different ways, often with romantic partners, or with spouses, but what can one do on Valentine’s Day for kids? It has not been traditional for children to be involved in Valentine’s Day celebrations, but these days the customs for Valentine’s Day are changing and many parents struggle to find activities to do with their children. Valentine’s Day, for parents, is a very different day than it is for romantic partners! Read on to find suggestions for activities to do with your children on this Day of Love! There are many options (far too many to list here!) but these will certainly provide enough inspiration for several Valentine’s Days! Here are some Valentine’s Day ideas for things to do with your kids. Because Valentine’s Day is all about love, gifts that reflect the love we feel for someone are the best choice for Valentine’s Day. What kind of gift says “I care” more than something we make ourselves? Cards: This is probably the most traditional craft item to make on Valentine’s Day and can be adapted to suit almost any situation. It is a very versatile choice as Valentine’s Day crafts go. It is also a fantastic way to get the children practicing reading and writing. The website www.kiddyhouse.com has some lovely ideas for cards, like this one, which is actually a pop-up card! 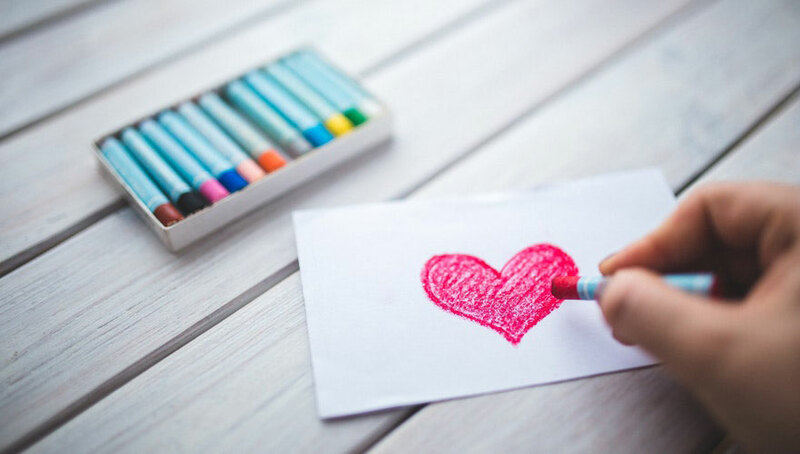 Other crafts: There are, literally, hundreds and hundreds of ideas for crafts with children on Valentine’s Day. Pinterest is always a good place to look for craft ideas and when it comes to ideas for crafts with children on Valentine’s Day, it does not disappoint. The website mentioned previously also has lovely suggestions for crafts and, on www.personalcreations.com, there is a whole wealth of ideas! Keep the message of compassion and love alive for your children with these wonderfully altruistic activities on Valentine’s Day. Activities with children on Valentine’s Day need not be limited to making crafts and doing things at home. In fact, it could be a wonderful adventure to visit an elderly care facility with children and to get them to read to the elderly. The kids can even make a lovely Valentine’s card for the old people! There is a lot of research that confirms that the interaction between the young and the elderly is beneficial for both. Consider this article. Alternatively, a children’s hospital might be a good choice. The kids can make beautiful Valentine’s Cards, and read to sick children. This will show your own children how fortunate they are, and help them to feel gratitude for the health they have. It will also provide them with the opportunity to bring solace and comfort to others, by reading to them or telling them stories. (Animals) are very nonjudgmental, and their calming presence distills stressful situations. For children who feel insecure about their capacity to do things like reading, therapy pets bolster their self-confidence, which reduces their anxiety. If your child is enrolled in the Red Cat Reading program, playing board games can be an extra boost to their reading, especially if you choose to play a word based game such as Scrabble or Boggle. These games can help them identify the letters and phonetic sounds that they learned through the Red Cat Reading program, and is a fantastic way to have fun while playing. You can even make word games from some of the words that your child has covered in the Red Cat Reading program – scrambled words or homemade crossword puzzles! Naturally, a Valentine’s Day theme can be applied to these activities! 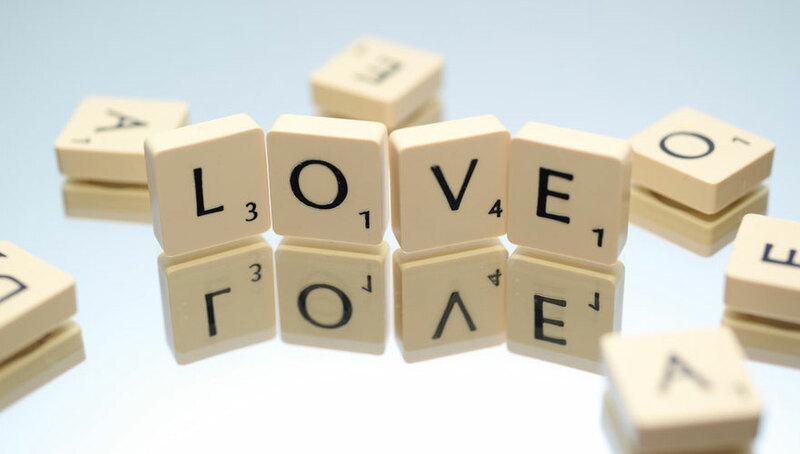 Other conventional board games like Snakes and Ladders can also be used in this way through the simple use of flash cards based on the Valentine’s Day theme. When the child throws the dice, he or she is not allowed to actually move their token until they can read a flash card that is shown to them by the adult. Every time they want to progress, they have to be able to read a new flash card. This adds a new dimension to the game and actually increases the level of fun and excitement in both the game and the task of reading! Finding puzzles and worksheets with a Valentine’s Day theme on the internet is not a difficult task. There are many of places to look. Here is one resource that should not be overlooked and this one can also be very valuable. The wonderful advantage of puzzles and worksheets is that children can have fun while learning! A final suggestion is to tell stories or to sing songs with the children. There are also many resources online with lots of songs and stories to choose from, including the story of the origins of Valentine’s Day and the true meaning of Valentine’s Day! What day is Valentine’s Day? Valentine’s Day falls on the 14th of February every year. In some countries, the seven days before Valentine’s Day are known as Valentine’s week. For a Valentine’s Day list, have a look at this site, where you can find the name of every day in Valentine’s Week for 2018. Valentine’s Day is celebrated in different ways in different countries around the world. 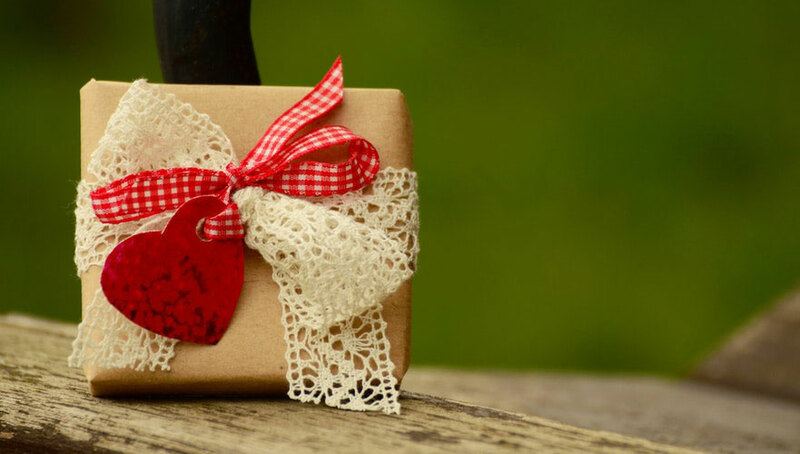 Not too long ago, in western countries, it was more conventional to send an anonymous letter on Valentine’s day to someone that one had romantic feelings for and to sign it “From your secret Valentine”. These days that tradition has faded into the background, and it is more common for people to exchange gifts or cards with others as an expression of appreciation for that person, whether they be a family member, a friend or a spouse! That said, traditions and customs differ from country to country. For instance, in South Korea, it is customary for women to buy chocolates for men on Valentine’s Day. It does not matter too much who the men are. They could be colleagues, friends, brothers or spouses. These roles are reversed on “White Day”, which occurs on the 14th of March and on that day it is the men’s turn to buy sweet things (especially chocolates) for women! In Finland, Valentine’s Day is seen as ‘Friend’s Day’ and it is a time to show appreciation for the friends in your life. In Guatemala, Valentine’s Day is known as the ‘Day of Love and Friendship’ and the customs are quite similar to those in the United States and other western countries. Despite the differences from country to country, Valentine’s Day has one thing in common everywhere, which is that it is a celebration of love. But how did this tradition come about? While everyone is sure of the Valentine’s Day date, the history of Valentine’s Day is shrouded in mystery. No one is really certain how it began. In fact, there are three possible Valentines that the day could be named after! One of those Valentines was, according to legend, a Christian priest in third-century Rome, who married couples in secret. He did this after the Roman emperor had outlawed marriage because he believed that soldiers would fight better if they were not married. When Valentine’s actions were discovered, he was put to death. Another tale purports that there lived a man in Rome called Valentine who was put to death for helping Christians to escape the terrible conditions in prisons. Yet another story refers to a prisoner named Valentine, who fell in love with his gaoler’s daughter and sent her a letter. He signed the letter: “From your Valentine”. Those words remain a tradition until this day. Whatever the real story may have been, all of the Valentines mentioned above performed heroic acts of love, which cost two of them their lives. As a patron saint for a day of love, they are all good choices. It is common for romantic partners to exchange cards or letters on Valentine’s Day. More often than not, these cards and letters will be decorated with hearts. This has long been the tradition on Valentine’s Day, but it is also customary, these days, to include other symbols of love, such as Cupid (the god of love who would shoot people with arrows to make them fall in love) and red roses. Other ways to express love for one’s romantic partner might be to take them for a romantic meal in a restaurant, with candlelight and music adding to the romance of the setting; or perhaps one might exchange gifts or flowers. A romantic night in a hotel is also a common choice for people in love. It is easy to find hotels and restaurants offering specials on Valentine’s Day. Then there are those romantics who go the extra mile and might decide to buy something extravagant, such as jewellery, for their partner, or for someone they admire. Others might be less extravagant, but still romantic, with gifts of chocolates, candy, clothing (especially lingerie), flowers or champagne, and quite possibly, a combination of the above. As long as the gift relates to love, it is a good choice for Valentine’s Day. Valentine’s Day with kids can be a fun, educational and deeply meaningful experience for both parents and children. Hopefully, some of the ideas above will be helpful in making this day all the more special as an occasion for spending time with family and sharing love! For more resources, and for help in reading with your child, not only on Valentine’s Day, but on any day of the year, visit Red Cat Reading, where children learn to read fast! is really awesome site if you are looking for earth day posts.